(September 3, 2018)- On September 1, 2018 around 7 PM, a Cape Coral Police Traffic Officer made a traffic stop on a vehicle for speeding. 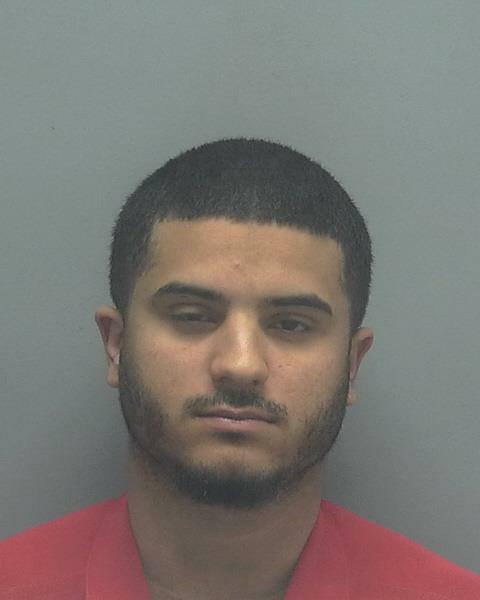 The driver of the vehicle was later identified as Abraham Duarte (W/M, DOB: 12/12/1995) stopped his car after turning onto Beach Pkwy E and then immediately got out and fled on foot. The officer gave chase and found that Duarte jumped into a canal and began swimming away. Several other Cape Coral Police officers saturated the area and set up a perimeter. Duarte was overcome with the algae in the water after he swallowed some and quickly began swimming back to the original officer that stopped him. Duarte reached the canal bank and gave up allowing officers to help pull him out. A citizen allowed officers to use his garden hose to spray off the algae all over Duarte's body. Seven vials of THC oil was located in the vehicle Duarte fled. Due to the consumption of the algae, Duarte requested to be taken to a local hospital and was subsequently cleared. He was later transferred to Lee County Jail. Duarte was charged with Possession of a Controlled Substance and Resisting Arrest without Violence.